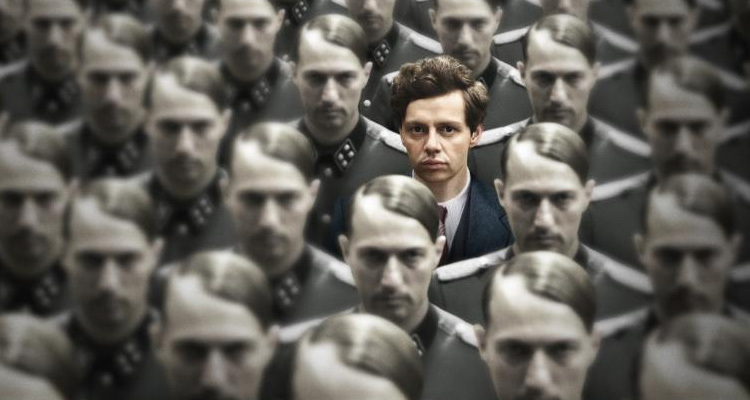 THE PLOT: Georg Elser (Christian Friedel) is a man who could have changed the world; on November 8th 1939, Elser rigged a bomb in Munich which, had it gone off 13 minutes earlier, would almost certainly have killed Adolf Hitler. After the bomb plot is unsuccessful, Elser is caught and tortured to give up the names of those who he was working with. As Elser considers his options, he thinks back on his life, a life full of peace and tranquillity until he day came that he could not ignore the fact that Hitler was leading Germany into war. THE VERDICT: 13 MINUTES is based on the life of Georg Elser, whose attack on Hitler cam just moments too late. The film is a look into the life of a man who seemed to want to spend his time making music and spending time in the company of women, but found himself radicalised in the face of the growing power of the Nazi Party. Christian Friedel carries the film as Georg Elser, and brings a quiet dignity to the character who is described as a person who’d ‘rather be beaten to death than give in’. Friedel allows the character to slowly be radicalised; he rails against the treatment of his friends and colleagues as the small town he inhabits is slowly turned into a Nazi stronghold. Katharina Schüttler plays Elser’s former girlfriend Elsa, and she is magnetic and charming in the role. The rest of the cast is made up of Burghart Klaußner, Johann von Bülow, Felix Eitner, David Zimmerschied and Rüdiger Klink. The story, written for the screen by Léonie-Claire Breinersdorfer and Fred Breinersdorfer follows a man whose idea has informed the plot of many a time travel movie and TV show; let’s kill Hitler. The film romanticises Elser to some degree, and pulls the affair with the married Elsa to the fore, perhaps for the sake of filling the 114 minute running time or perhaps to give us another reason to root for Elser. There are times when the balance between past and present in the film; between torture and freedom is not quite evenly struck, which then means that the pacing of the film suffers. That said, it is interesting to watch the slow radicalisation of a gentle man on screen, and to watch his loyalties change. Director Oliver Hirschbiegel previously brought us the slow burning thriller Downfall, and the much less successful Diana; 13 MINUTES falls somewhere between these two. Less of a slow burn than Downfall, 13 Minutes is about the changes a man goes through in his life, at a dangerous and violent time in our history. 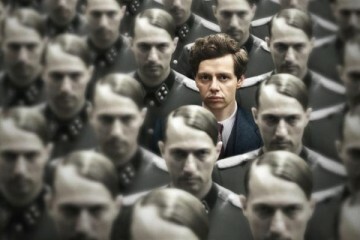 The balance between the frivolous times in Elser’s life, and his time in the lands of some of the Nazi Party’s most vicious men is almost evenly struck, but the film feels incredibly drawn out in places and, since we know the motives of Hitler and those around him, while the film is interesting, the ending feels like a foregone conclusion. In all, 13 MINUTES is an interesting tale, and raises the age old question of ‘What If’ one of the plots against Hitler had been successful, although the film almost always sticks to the truth of the matter, and does not try to theorise how our world could be different. Christian Friedel carries the film, although there are times when the pacing suffers due to an imbalance in storytelling between past and present.